Opportunities for the study of choral conducting in Australia are varied and multifaceted, and have developed considerably in last twenty five years. In general, choral conducting training is offered by a number of Australian universities as a component in specialist music degrees and individual courses. However, an increasing number of choral and educational professional associations around the country – including a number of leading individual choirs – now offer workshops and master-classes in choral conducting. These workshops usually cater for a range of levels of expertise from beginner to intermediate. Of the forty universities currently operating within Australia, approximately two-thirds offer Music courses in some capacity. Most of these Music courses are of a generalist nature. Much of the in-depth professional musical training in the ‘conductor-relevant’ areas of performance, musicology and teacher training takes place at a small number of major universities, most of which offer conservatory style programs. These include: the University of Adelaide (Elder Conservatorium of Music), Griffith University (Queensland Conservatorium of Music), the University of Queensland, the University of Melbourne (Melbourne Conservatorium of Music), the University of Sydney (Sydney Conservatorium of Music), the University of Tasmania, the University of Western Australia, and the West Australian Academy of the Performing Arts. Virtually all of these universities offer general conducting training in some capacity (usually at a comparatively rudimentary level) as an elective part of an undergraduate Music degree and/or as a component in a postgraduate qualification. In relation to nomenclature, please note that, in Australian universities, the word ‘program’ refers to a full degree. A Bachelor of Music or Master of Music degree, for example, is a program. The word ‘course’ refers to a specific unit of study within a program. Introduction to Choral Conducting or Conducting for Teachers, for example, would be courses within a Bachelor of Music program. 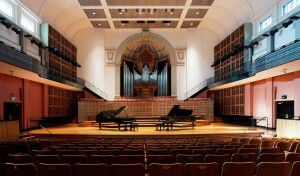 The University of Adelaide (Elder Conservatorium of Music) in Adelaide, South Australia, offers two undergraduate courses in Conducting as part of the Bachelor of Music degree: one at the introductory level which includes specific choral techniques, and a more specialised undergraduate course in choral conducting and leadership. Choral conducting techniques are also taught as part of the music education specialization within the Bachelor of Music degree. At the postgraduate level, Choral Conducting has recently been added as a major within the Master of Music Studies degree. The Australian National University in Canberra (Canberra School of Music) offers, as part of its Bachelor of Music degree, an undergraduate course in Conducting which includes choral techniques. The University of Queensland in Brisbane offers an undergraduate course in Choral Conducting at the introductory level as part of its Bachelor of Music degree, as well as a more specialized postgraduate level course in Choral Conducting and Pedagogy as part of the Master of Music degree. Choral conducting techniques are also taught as part of the undergraduate music education course ‘Teaching music through choral performance’. Griffith University (Queensland Conservatorium of Music) in Brisbane offers an undergraduate course in Choral Conducting at the introductory level as part of its Bachelor of Music degree and is currently in the process of re-developing its offerings in this area. The University of Melbourne offers a postgraduate course in Choral Direction as a component of the Master of Music degree. The University of Tasmania in Hobart, Tasmania offers an introductory level undergraduate course in Conducting as part of its Bachelor of Music degree which includes choral techniques. The University of Western Australia in Perth, Western Australia offers studies in conducting as part of undergraduate Music Education courses, and the University of Western Australia Summer Academy also offers studies in choral conducting. Postgraduate studies in choral conducting are included as part of the Music Education stream in the Master of Teaching degree and as a component in the Master of Music degree. The Western Australian Academy of Performing Arts offers an introductory level undergraduate course in conducting and choral direction. The University of Newcastle offers an introductory level undergraduate course in conducting. The study of choral conducting at doctoral level within Australia is a developing area. A number of Australia’s leading choral conductors have obtained doctorates from Australian universities in related areas of musicology, composition and music education and some of the universities listed above are in the process of developing doctoral (PhD) options in choral conducting or related areas. Research is a vital component in all doctoral study in the performing arts in Australia. In addition to the more formal studies in choral conducting as described above, a small but significant number of choirs and other musical organisations – including professional associations around Australia – also offer specialist workshops and masterclasses in choral conducting as part of their on-going activities, or their annual summer schools and conferences. The various state chapters of both the Australian National Choral Association (ANCA) and the Australian Society for Music Education (ASME) frequently offer state-based choral conducting workshops for school teachers and conductors of community-based choirs, while ANCA’s national biennial Choralfest and ASME’s national conferences also features workshops and masterclasses with some of Australia’s leading choral directors and international guest conductors. The Australian Choral Conductors Education and Training organization (ACCET) is based in Melbourne and has been offering choral conducting training for conductors of school, church and community choirs for over twenty years. ACCET offers an intensive week of workshops and masterclasses each January. Its annual summer schools feature one leading international and one leading Australian guest conductor each year thus ensuring that each year will provide a different perspective on choral conducting and leadership. Activities presented by ACCET at its annual summer school includes plenary sessions, masterclasses and workshops. Similarly, the Royal School of Church Music (RSCM Australia) offers state based choral training activities as well as a national Summer School held each January in a different Australian capital city. Naturally, church music is the principal focus of these summer schools but the nature of choral conducting activity in Australia is such that there is often an overlap between the church and educational sectors. 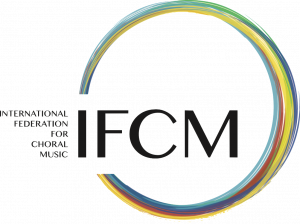 The Kodaly Music Education Institute of Australia (KMEIA) also offers a wide variety of national and state based choral training activities as part of their wider music education focus. These include a biennial national conference and a range of activities including studies in choral conducting which lead to the Australian Kodaly Certificate offered by KMEIA in association with the University of New England in Armidale, New South Wales. A number of Australia’s leading choirs have also taken the initiative in recent years and have developed their own choral conductor training workshops and masterclasses. These are usually short intensive weekend workshops that provide focused training and experience for more advanced choral directors. Foremost amongst these have been the choral conductor training initiatives undertaken by the Gondwana Choirs National Choral School, The Australian Voices, Sydney Chamber Choir, Adelaide Chamber Singers, Sydney Philharmonia, the Melbourne Symphony Orchestra Chorus and the National Youth Choir of Australia. The most notable of these developments has been the establishment, three years ago, of the Gondwana Choral Conducting Academy. Set up as part of the annual Gondwana National Choral School held in Sydney in January each year, the Academy draws together a small group of young choral conductors from around Australia for an intensive two-week summer school. Choral conductors attending the Academy spend from eight to ten hours per day in workshops and masterclasses, as well as observing some of the leading Australian choral conductors who conduct the six choirs at the Gondwana National Choral School itself. The six choirs at the GNCS range in age from 10 to 26. No discussion of the training of choral conductors in Australia would be complete without an acknowledgement of the various external influences that have stimulated the development of choral music-making and choral conductor development in Australia. For the first century and a half of Australia’s history, the predominant influence upon choral music making – and therefore choral conductor training – in Australia was the English choral tradition, and in particular, the religious traditions and repertoire. In addition, most of the professorial heads of Australia’s university music departments and directors of conservatoria during that initial century and a half were English and so Australia’s tertiary music education was strongly influenced by the our British cultural heritage. The English choral tradition was not the only influence of course, as Australia was also been settled by numerous communities from many parts of Europe and it is worth noting the significant role that Lutheran traditions have played in school education – particularly music education – in Australia. The 1973 conference of the International Society for Music Education (ISME) in Perth, Western Australia was a significant watershed in Australian music education but also provided a significant stimulus to choral conductor training in Australia due largely to the performances and workshops of Rodney Eichenberger and his University of Washington Chorale. From the mid-1970s, an increasing number of American choral conductors visited Australia to work with a new generation of young Australian choral conductors. These American choral conductors and pedagogues included Rodney Eichenberger, Frank Pooler, Anton Armstrong, Weston Noble and David Jorlett. Foremost amongst them however, was Rodney Eichenberger and it would be difficult to underestimate his influence upon Australian choral music during this period. A significant number of young Australia choral conductors then continued their postgraduate studies in choral conducting in the US during the 1980s. English conductors such as David Hill and Mike Brewer have also played an important role in helping to shape the landscape of Australian choral training as has Englishman Roy Wales. Roy Wales was one of the earliest ‘Rodney Eichenberger protégés’ to come to Australia and his influence on the younger choral conductors, and on establishment of a national choral association, was significant. Many of Australia’s current choral leaders have studied, toured and worked internationally and, as is the case throughout the world in the 21st century, the Australian choral community is both global and eclectic in its influences and impact. Choral conductor training in all its manifestations in Australia reflects the international standards and expectations of a truly global and diverse artform. Another powerful influence on the development of Australian choral music in recent decades – and therefore choral conductor training – has been the work of our composers. Australian composers such as Peter Sculthorpe, Malcolm Williamson, Nigel Butterley, Clare Maclean and Graeme Koehne have all featured on the international choral stage through their works for choir but in the last two and half decades, no Australian composer has contributed more to the development of Australia’s choral repertoire than Stephen Leek. Leek has worked extensively as a composer and choral conductor, and has influenced the way that many choral conductors view Australian choral music. Significantly, this has had an impact on the repertoire study aspects of choral conductor training in Australian.